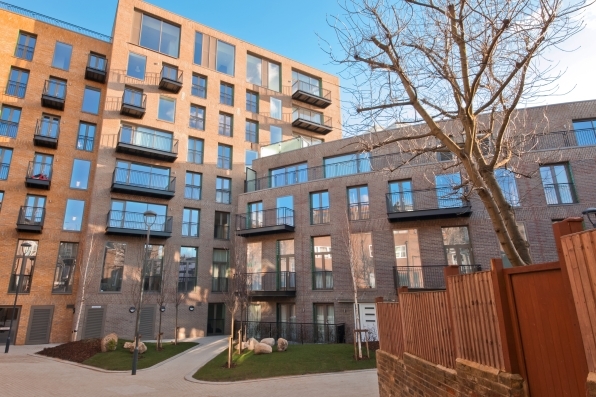 Regent Canalside and Regency Mews have transformed the site of a 1960s office block and car park in Camden Road, creating a high-quality development of new homes which enhance their historic surroundings by Regent’s Canal. The scheme forms an attractive addition to the conservation area in which it is set and was nominated for best Marketing Campaign: Residential (New Build) at the Property Marketing Awards 2014. Regent Canalside and Regency Mews have seen the regeneration of a 1960s office block and a car park, adjacent to the Grade II-listed Camden Road Bridge. 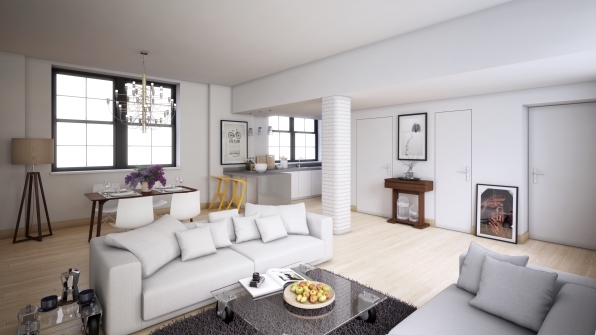 The development comprises 54 homes of both private and affordable tenure, ranging from one to three bedroom apartments and one mews house with a studio apartment, together with a coffee shop, landscaped courtyard and communal roof terrace. The affordable homes, comprising 6 affordable rent and 7 shared ownership properties, were sold to Origin Housing Association as part of the planning agreement. The architecture of the development is designed to be sympathetic to surrounding listed buildings and to enhance the character of the local environment. As the site is based within the Regent’s Canal Conservation Area, the scheme has been sensitive to the surrounding context of neighbouring residential properties and the wider context of Camden Town, with the design of the buildings’ facades inspired by local buildings and materials. The development has provided a new pedestrian link from Camden Road to the Regent’s Canal, where previously there was no access. The towpath provides a fantastic opportunity to walk or cycle to Camden Lock, Camden Market, Primrose Hill, Regent’s Park and King’s Cross. The scheme provides an excellent product mix of both affordable and private properties, with sufficient cycle storage for all residents, which promotes cycling for both commuting and leisure. Residents are also given the option to sign up for a year’s complimentary car club membership as a sustainable transport initiative. The new homes have been completed to Code for Sustainable Homes Level 4, with energy-saving features including efficient lighting and appliances, high-specification glazing and insulation, and water-reducing measures such as dual-flush toilets. The scheme includes a landscaped courtyard and communal roof terrace, providing residents with good access to open space, and is a vast improvement on the past site in terms of aesthetic appearance and encouragement of biodiversity. A green roof comprising a wildflower and sedum mat has been installed at the development. This provides ecological benefits, attracts a wide range of birds, bees, butterflies and invertebrates, and provides an excellent habitat for wildlife. 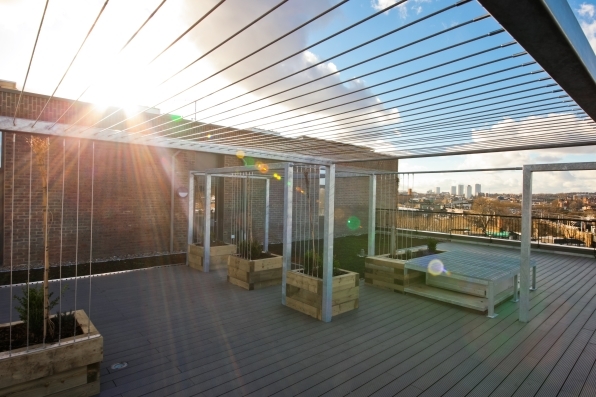 As well as improving the biodiversity of the area, the new landscaping provides excellent visual appeal which can be enjoyed by residents of the development from the communal roof terrace.